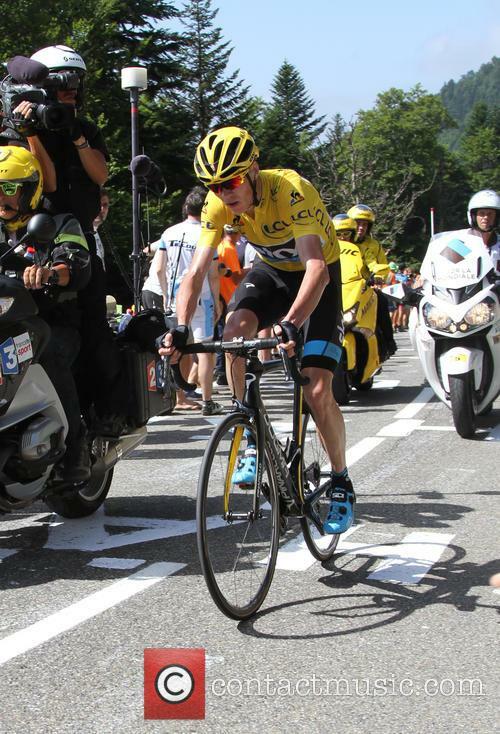 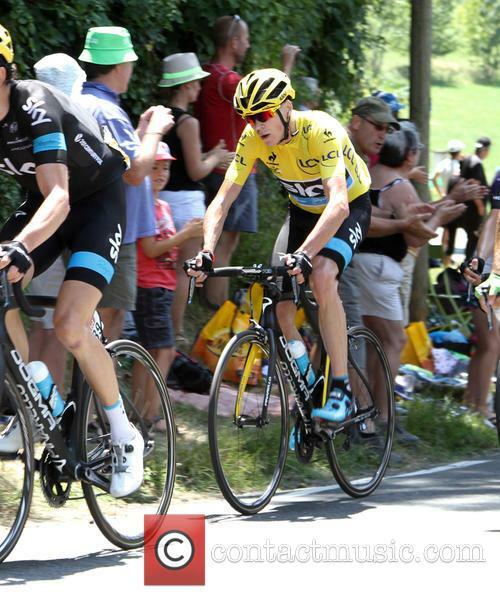 Chris Froome attacks at the finish of Stage 10. 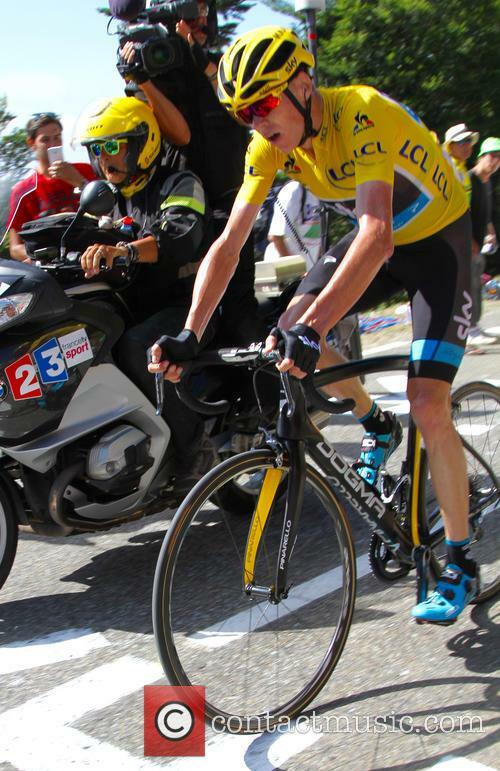 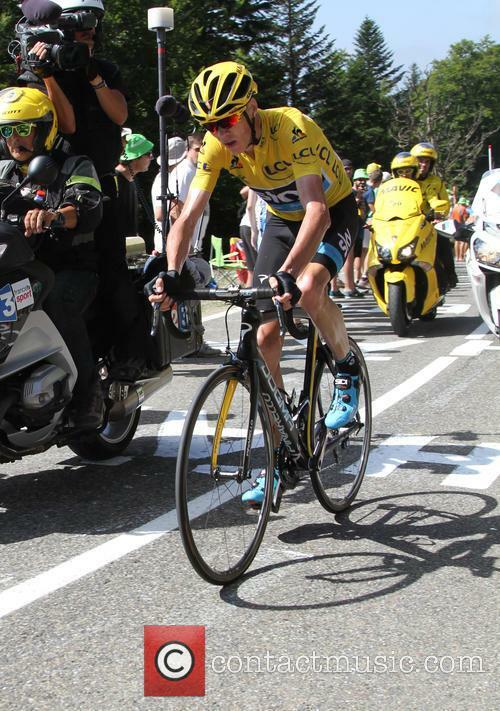 Winning his first stage in the 2015 Tour de France. 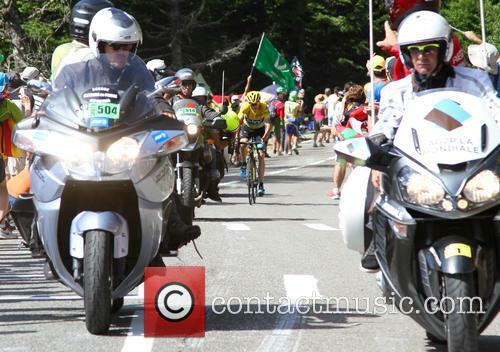 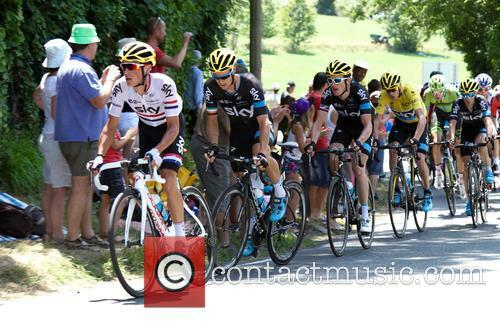 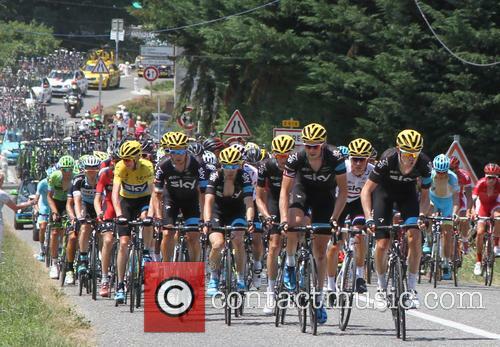 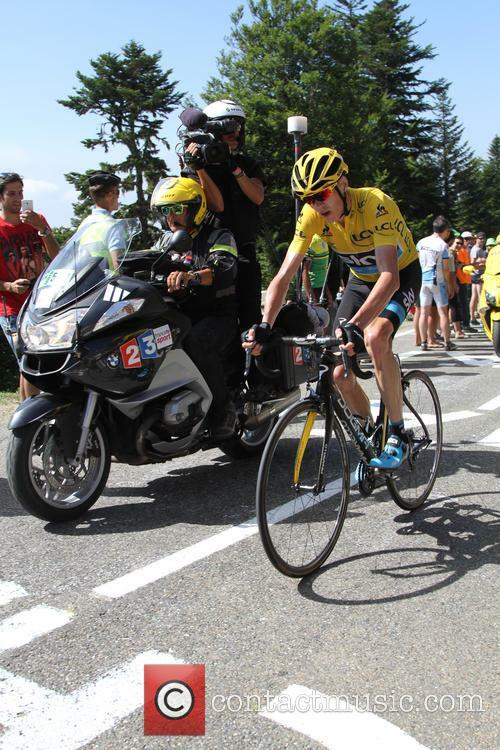 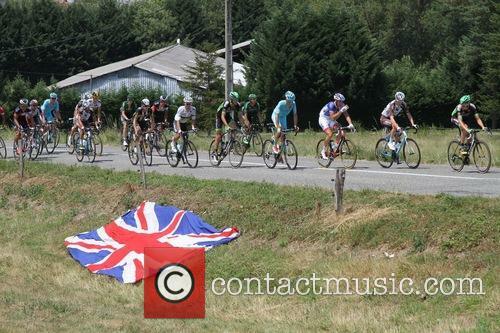 Chris Froome in the peloton of Stage 11.